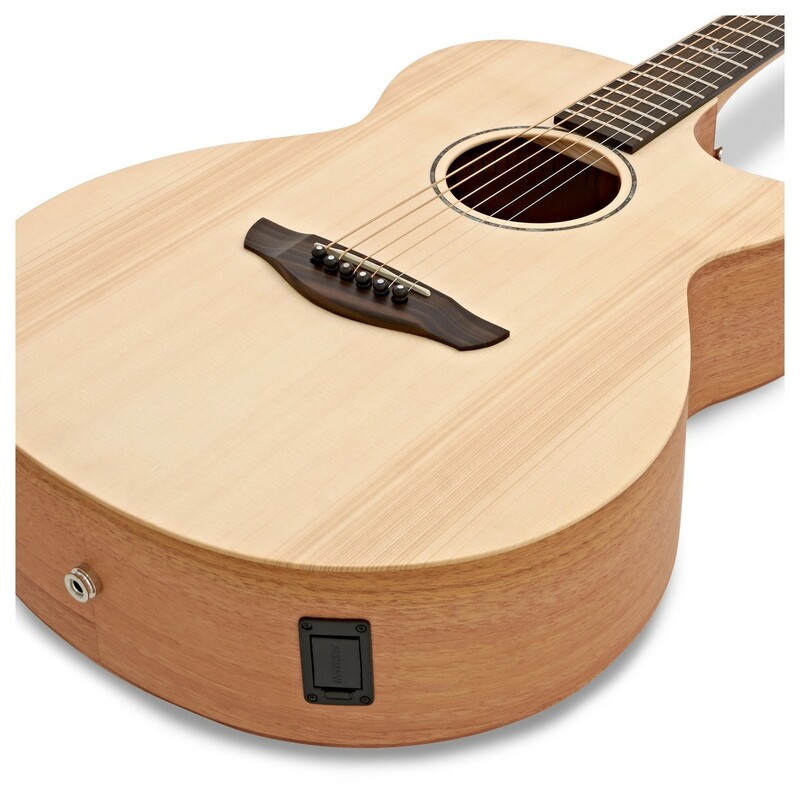 Hand crafted by skilled Luthiers, this guitar retains the integrity of tone which Faith guitars possess but by removing some of the more fussy cosmetic adornments the FKV Venus is available at a very affordable price. 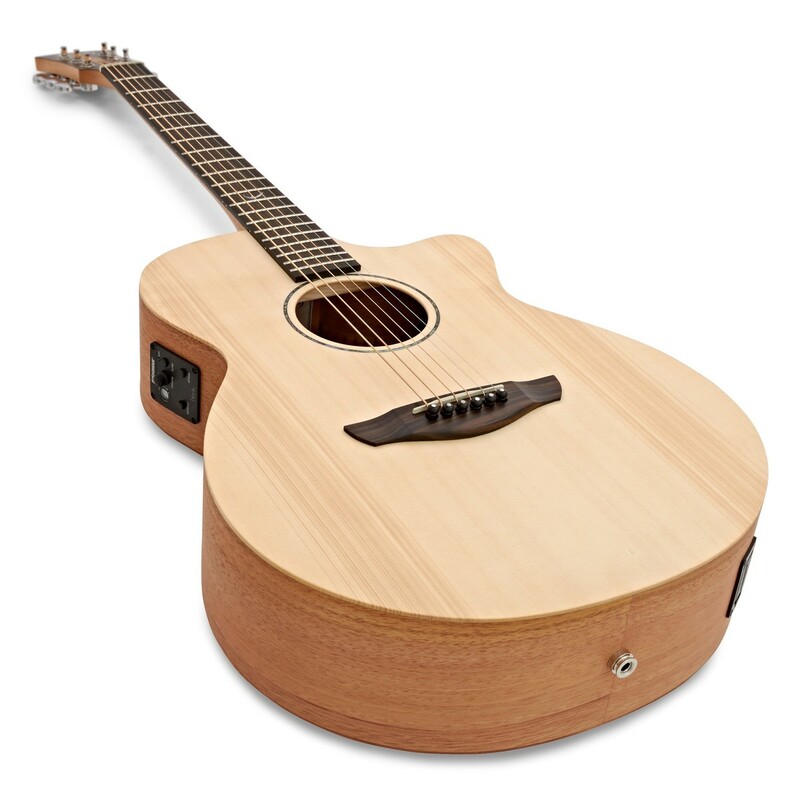 The Naked Venus guitar consists of a Solid Engelmann Spruce top and Solid Mahogany back and sides; a two-stage satin finish all over; an ebony fingerboard, bridge and head plate; chrome plated Machine heads; and a 2mm abalone sound hole rosette. 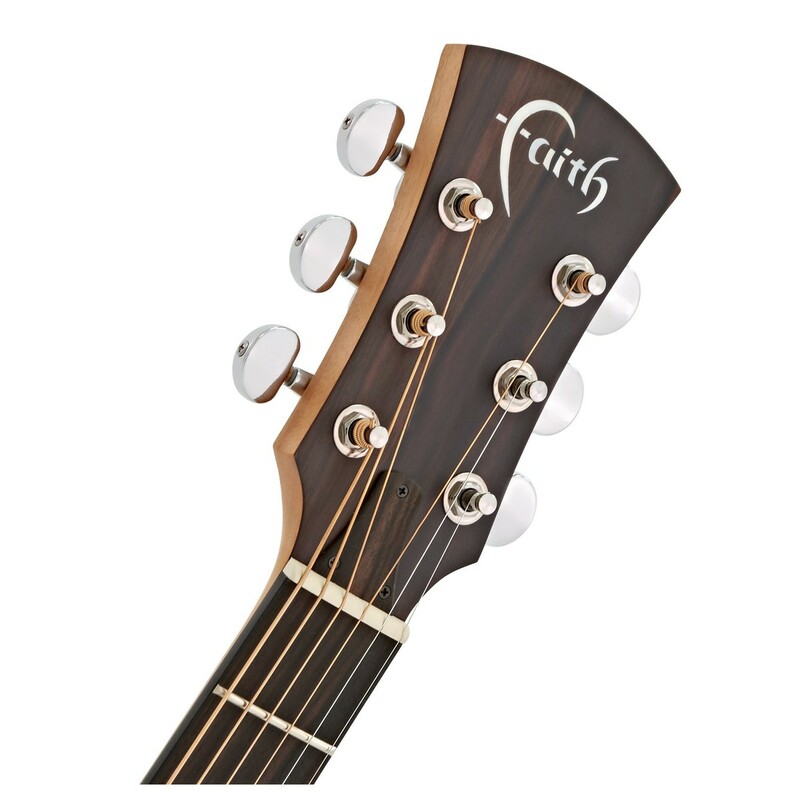 This Electro Cutaway FKV Venus model also features the same Fishman Isys System found on the Faith Natural series. 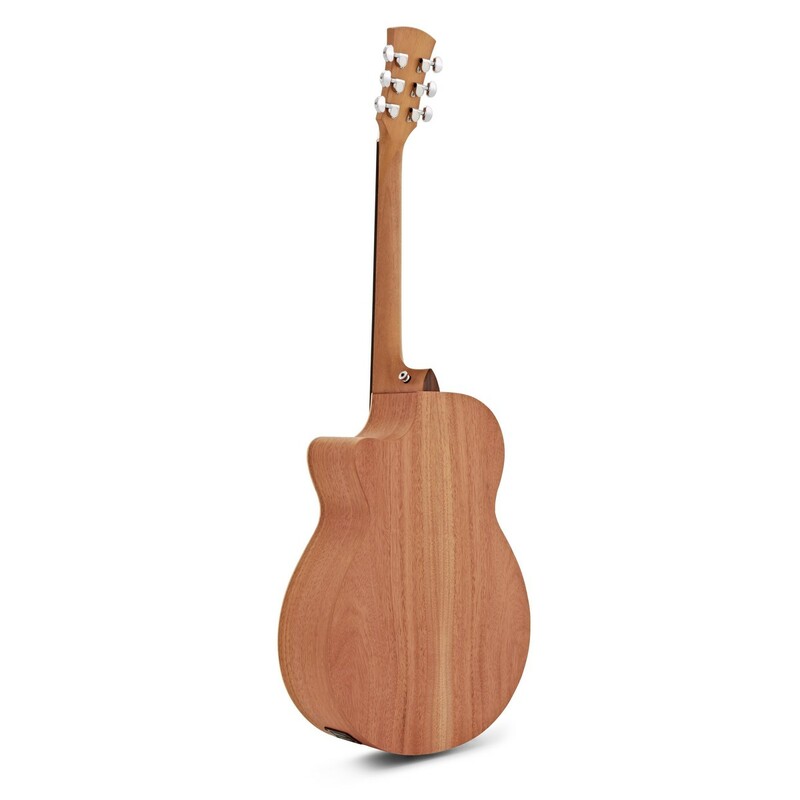 The FKV Venus has a Mahogany back and sides and as such delivers a tone focused on the mid-range. The tonal characteristics would look like a frown if visualised on a frequency curve; lower at the bass, curving up through the middle and dipping again at the top end. The Venus? 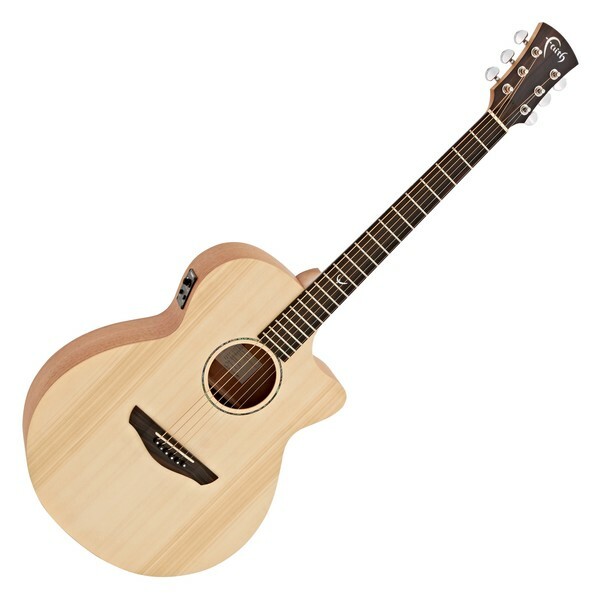 tone is warm and sweet meaning all the notes blend well together. 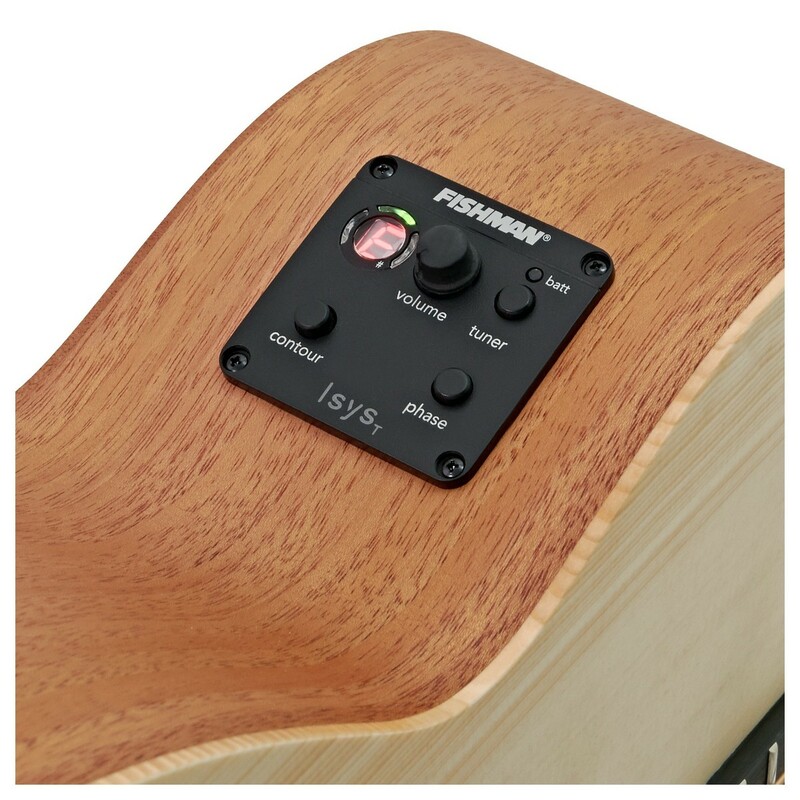 This makes the Naked series ideal for strumming and accompaniment purposes and means it will sit comfortably in a mix.